When riding the Varibike Tandem everyone wants to sit on the rear seat, because that is great workout and fun. The Varibiker on the rear seat can choose between pure leg pedalling or cranking with arms and legs together. Additionally, he or she can switch anytime and during the ride between Alternate and Synchron Style. By also using the upper body and alternating between different arm driving styles, this prevents you from muscle tension and muscle acidification. 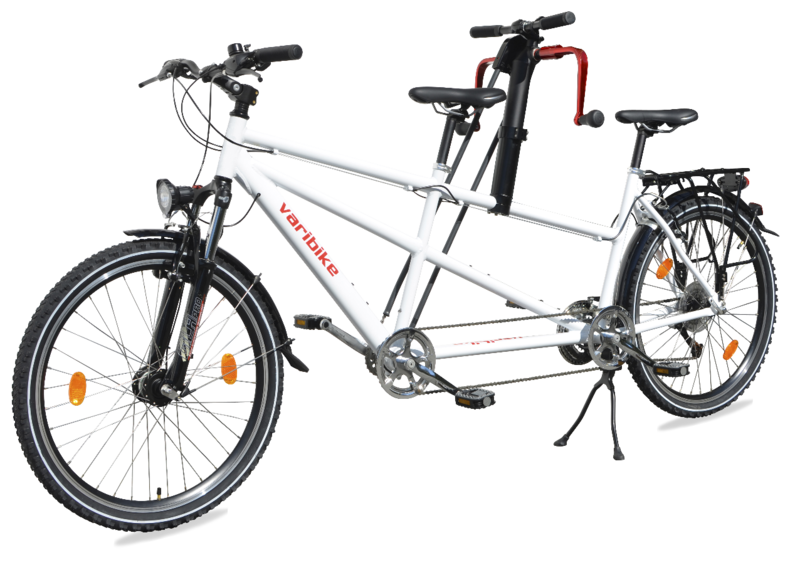 Therefore, with the Varibike Tandem, you are much more endurance than on a normal tandem. And of course faster, because the arm drive provides the Varibike Tandem with an extra boost. You have never reached distance destinations as quickly and easily. 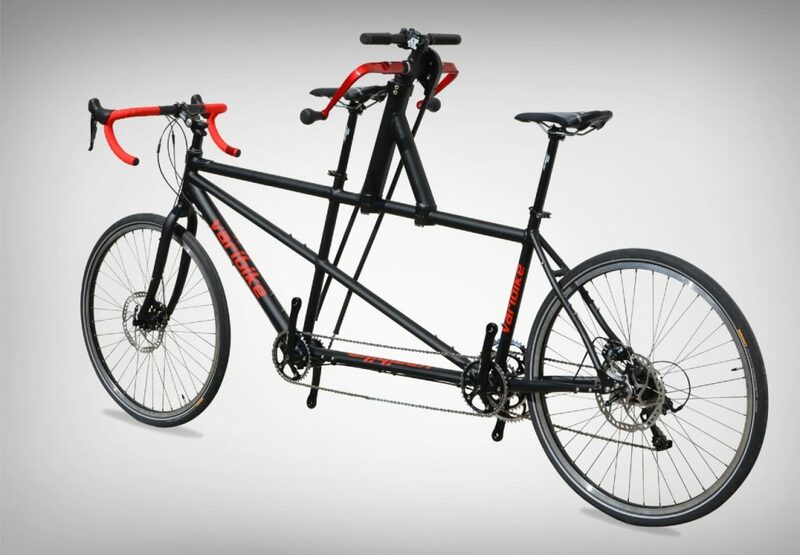 Area of usage: Depending on the equipment chosen, the Varibike Tandem can be configured as a race, trekking, or randonneur tandem. Also available with mudguards, light and rack – Ask us for prices. Touring ready. The Varibike Trekking Tandem is fully equipped for the grand tour. From rack, over mudguards to complete lighting system with a hub dynamo.